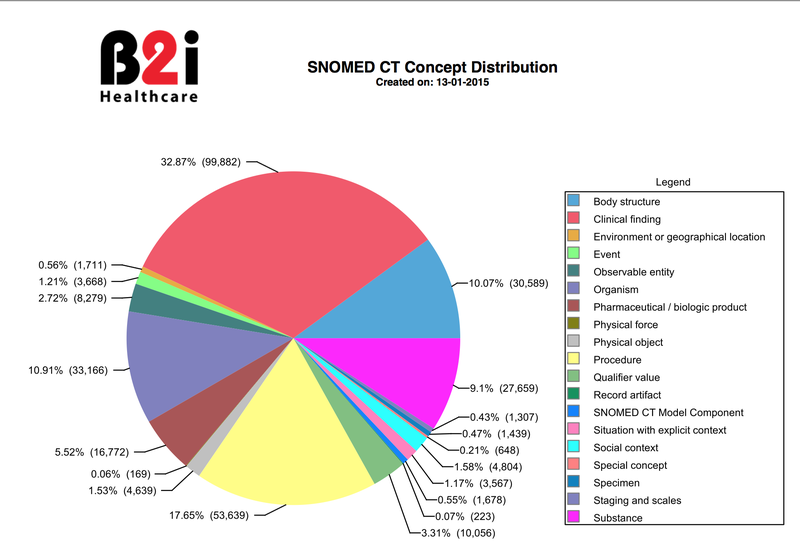 Snow Owl includes a reporting and charting engine that can execute reports of the SNOMED CT concept distribution. The report can be exported to Word, Power Point, as a pdf or html. Click the Reporting icon on the toolbar, or select Tools > Create report from the main menu. Specify the output format, target directory, and title of the report. 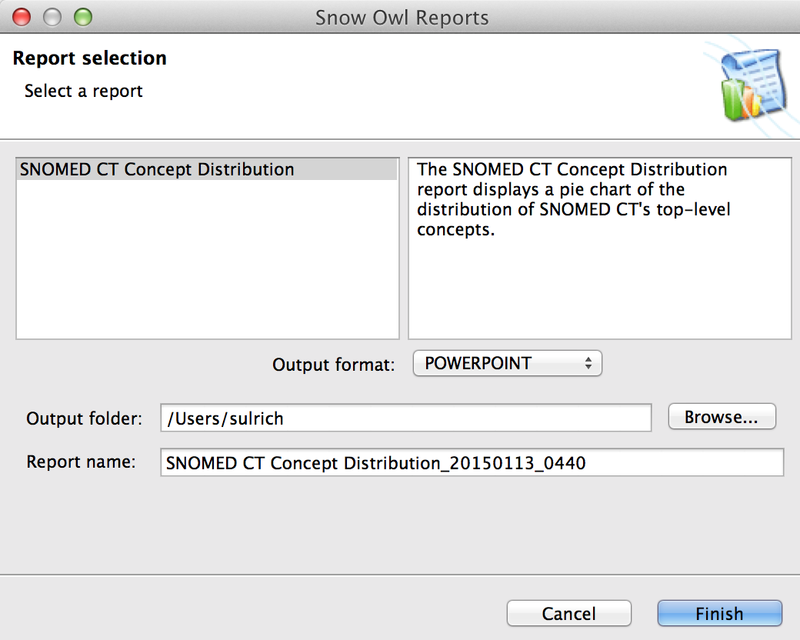 After the execution of the report, Snow Owl will open the report using the appropriate software on your computer (e.g. Adobe PDF Viewer for .pdf, Word for .doc).